Where Roots And Wings Entwine: WIN TICKETS TO THE BABY SHOW AT EARLS COURT, LONDON. 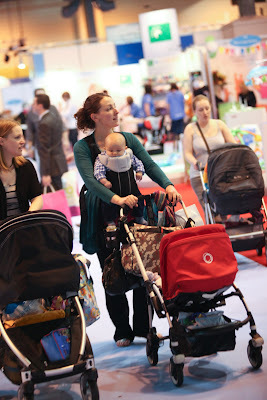 WIN TICKETS TO THE BABY SHOW AT EARLS COURT, LONDON. Thank you to everyone who entered, shame I don’t have tickets for all of you. Hope you all manage to get tickets and go to The Baby Show….if you do hope you have a great time. Piper and Daisy (@piperanddaisy) Congratulations.....please email bumps2babies@btinternet.com with your address so that I can arrange that you receive your tickets. This October, The Baby Show returns to Earls Court to showcase the widest range of maternity and baby essentials for parents and parents-to-be. With brilliant deals on the latest must-have items and special show offers across leading brands this is a shopping experience not to be missed. The Baby Show with Prima Baby and Fisher-Price takes place from 28-30 October 2011 at Earls Court, London, and we are giving 1 lucky winner a pair of free tickets! Shopping at The Show allows parents to test and compare hundreds of products before they buy, saving them from purchasing products that aren’t suited to their needs and lifestyles. Visitors to The Show can shop from the most recognised brands including Mothercare, Marks and Spencers, tommee tippee, Pampers, Trunki, Sugar Jack, Adens & Anais, Britax and many more. In addition to the 300 must have brands showcasing their ranges, parents can visit the exclusive Boutique Boulevard where a selection of exhibitors will be selling the most exquisite brands and niche products on the market. Becoming a parent can often be daunting, but The Baby Show is a hassle free day out, providing parents with everything they need in one place - the biggest selection of baby products and on hand advice from leading experts to help make those important decisions. What’s more there are various facilities in place to ensure it remains a stress free day, including the Fisher-Price Crèche which is perfect for baby-free shopping. Plus with Emma’s Diary Shopping Drop-off, Collect by Car & Home Delivery services heavy bags don’t need to be carried around The Show. The Baby Show takes place on 28-30 October, Earls Court London. Tickets are on sale now for The Baby Show and are available from the box office on 0871 231 0844 or online at www.thebabyshow.co.uk. All children under 16 go free when accompanied by an adult. Head to www.thebabyshow.co.uk for full details. · Follow my blog via Google Friends Connect and leave a comment to say you are doing so and tell me why you would like to go to The Baby Show – leave a way of contacting you either email address or twitter name. Please leave a separate comment per entry. 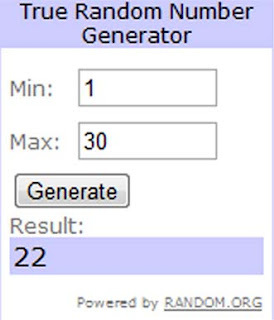 Posting that you have done all entries in 1 comment will only count as 1 entry. Please be aware of the competition terms and conditions. Competition closes on Wednesday the 19th of October at 9pm and the winner will be announced shortly after. Good luck to everyone and thank you for visiting my blog. Follow you on facebook as kim kirkwood. Follow you on twitter as @kimclairesly. I am followimg your blog via Google. Following your blog via GFC. I would like to go to The Baby Show as it sounds a great place to do all of your baby shopping in one place rather than have to trudge around different shops.